Well there you have it! My list of 10 books I enjoyed with under 2000 Ratings on Goodreads! Is there any on my list you have read? Do any appeal to you? 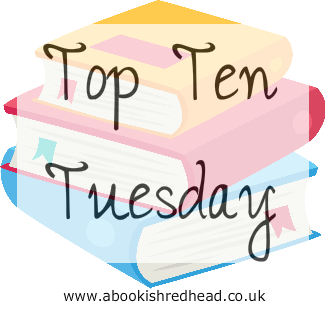 Leave a link in the comments below to your Top Ten Tuesday so I can check them out. Ahhhh! I loved 'To Marry A Prince' I have reread it several times and enjoyed it every time. I just read Briar Rose, it wasn't quite what I was expecting. I haven't heard of some of these and I shall have to check them out over of Goodreads.